What do commercial real estate business women do on the weekends? What do some commercial real estate and business women do on the weekends? Have fun, of course! On Sunday April 14th a group of professional women took a Bolt Bus ride to New York City to see Breakfast at Tiffany’s at the Cort Theatre. We had a delicious lunch at a fabulous Greek restaurant on 44th Street between 5th and 6th Avenues. We are a group of professional women that work hard and take trips to NYC thanks to our organizer Maureen Mastroieni, President of Mastroieni Associates. Our group included: Nancy Mastroieni from Mastroieni Furniture, Susan Giraldi of The Philomena Construction Group, Eileen Lynn of E, H. Lynn & Associates, Diana Sperle from Unisys, and me Peggy from PG Commercial Real Estate. 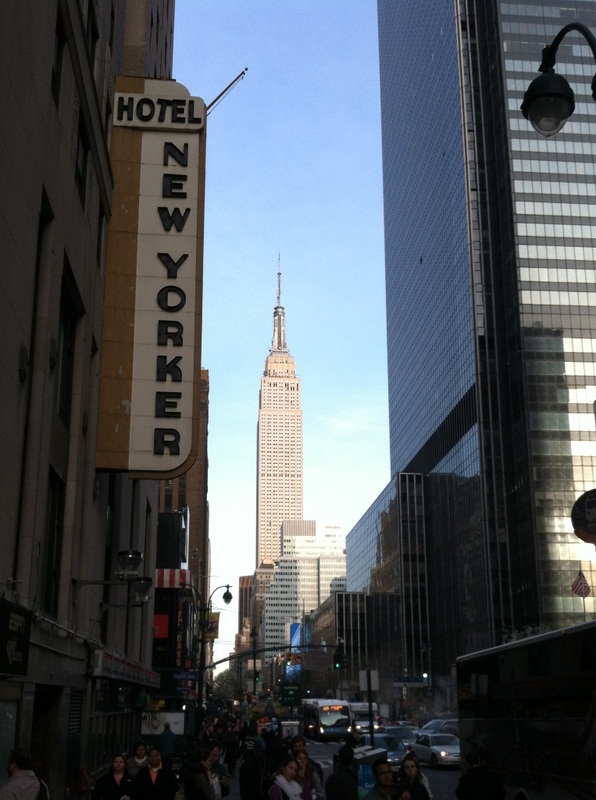 Here is a photo from our trip of the Empire State Building and the Hotel New Yorker – 2 iconic locations in NYC. Do you spend quality time with your professional contacts outside of work?